Gardner Hall, Foy Short: A Life in Southern Africa (Port Murray, NJ: Mount Bethel Publishing, 2012). Without a doubt, there has been a sea change in the historiography of the Churches of Christ in recent decades. The hagiography (and, in some cases, posturing) of the early 20th century has largely been left behind. What has replaced it is a much more sophisticated kind of historical and theological analysis. But there is still some room for improvement. Some writers, for example, have continued to view the first half of the 20th century as something of a theological wasteland or as an embarrassing chapter in the family history to be hastily passed over, a regrettable period marked by debates, sectarianism, and fractiousness. To some extent, this is an understandable reaction. Many people in mainline Churches of Christ have had trouble owning this history (assuming that they are even aware of it) because of those traits. They have preferred, instead, to jettison what they understand to be an unsavory past in favor of the perceived promise that a (de facto) merger into American evangelicalism might bring with it. Fortunately, this state of neglect has begun to abate. The past few years have witnessed renewed interest and a number of fruitful projects. Among these, we should certainly mention the publication of John Mark Hicks’ and Bobby Valentine’s Kingdom Come (2006), a book to be noted for the fact that it takes David Lipscomb and James A. Harding’s ideas seriously. (I should also call attention to Hicks and Valentine’s continuing work on K. C. Moser and R. L. Whiteside.) Interest is blossoming in other quarters as well. The folks at the Alabama Restoration Journal have been doing good work directing attention to significant figures in that state (including a very helpful issue devoted to John T. Lewis). At this year’s CSC, one presenter made two very nice presentations on noted missionary and Foy Wallace bugaboo Don Carlos Janes, and another entire panel was devoted to the Lipscomb-McGary rebaptism controversy. But even with this renewed interest, other problems remain. The general histories, for as thorough as some of them are, have tended to (with the exception of Hughes and Harrell) overlook and have otherwise failed to take seriously the various “wings” of the Churches of Christ — premillennial, non-institutional, one cup, mutual edification, etc. — that arose during that period. In this regard, there is still much work to be done if the history of these smaller fellowships is ever to be seen as more than a footnote to the history of mainline Churches of Christ. 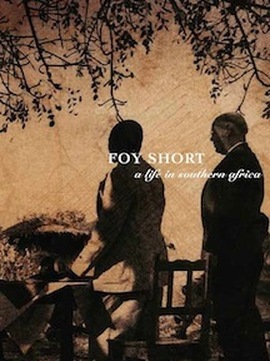 That brings me to the present work, Gardner Hall’s Foy Short: A Life in Southern Africa (2012). The book, of course, is a biography of Harold Foy Short (1921-2012), longtime missionary among the Churches of Christ in what is now Zimbabwe. In 1921, Will and Delia Short, along with their infant son Foy, left Harper, Kansas, and Cordell Christian College, for Rhodesia, a British colony in southern Africa. Once there, they joined the ongoing mission work of John Sherriff, a New Zealand native who came to Rhodesia to preach in 1896. Once in Africa, Sherriff underwent a change in his convictions regarding instrumental music in worship and gradually came into affiliation with the Churches of Christ in the United States. northern part of the country, the hardships of raising a family in the bush, and the complexities of navigating changing affiliations among stateside churches. 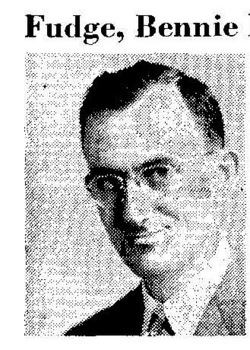 Turning to the childhood of young Foy, we pick up with his departure for the United States in December 1940 to enter college. Gardner Hall does a fine job of describing key influences on Foy’s thought in the six years he was stateside: his professors at Abilene Christian College — R. C. Bell, Homer Hailey, and others; his developing friendship with Bennie Lee Fudge; and his work alongside Fudge on the faculty of the newly created North Alabama Bible School in Athens, Alabama. After narrating Short’s return to Africa in 1947, the book enters a rhythm in which his work at various mission points in Rhodesia alternates with accounts of periodic return trips to the States. Interspersed are discussions of various controversies that Short had to deal with in his work (both those specific to Africa and those imported from the United States), profiles of his native coworkers, discussions of his continuing educational work both in Rhodesia/Zimbabwe and in the States, and some notice of how his work was affected by deteriorating political conditions in Zimbabwe after the nation gained independence in 1980. The book concludes with two helpful appendices: one which gives the reader an orientation to the history of Rhodesia/Zimbabwe and another which provides short biographical sketches of a number of American evangelists who have worked in the country since the time of John Sherriff. This might strike some as a controversial statement. Consider this, though. “Objective” histories of the Stone-Campbell Movement written by Disciple scholars in the early 20th century often failed to even mention the existence of a cappella Churches of Christ. The Church of Christ was a small splinter group in their eyes, the redneck cousins they were embarrassed to claim. (A more contemporary version of the same phenomenon can be seen in the attitude of many mainline outlets among Churches of Christ toward their separated brethren in one cup, non-institutional, and non-class churches.) What’s the lesson to be learned from reading DeGroot and other Disciple historians from that period? They teach us, quite inadvertently, that sweeping claims to objectivity rarely ensure that no agenda in fact exists. Often, such claims simply mean that the agenda is masked – masked, often enough, to the eyes of the author himself. Better, then, to be honest about one’s presuppositions up front. It seems to me that much of the value of the newer historiography among Churches of Christ comes from how it embodies that point. It holds in tension two seemingly contradictory impulses. First, it is no longer a priori beholden to maintaining walls between groups. It’s our historians — not our churches or news outlets — that are in the forefront of this development. The Alabama Restoration Journal, for example, brings together historians from non-institutional and mainline conservative backgrounds — two groups that have less in common than might appear at first blush. ACU Press’ series of histories of the three major streams of the Movement is a cooperative project across traditional lines. The World History Project (set to be released soon) does the same thing on a much larger — and international — scale. At the same time, most of this work — and this is key — respects the real differences that exist among the various wings of the Movement. The cooperative projects just described make no attempt to carry the banners of their respective parties or to fall back on the kind of lazy ecumenism that has descended on so many quarters, the ecumenism that attempts to bypass our differences by pretending that they don’t really matter or by claiming that they are merely matters of preference. (This is not, by the way, a swipe at serious ecumenical dialogue.) That’s true of the ACU Press and World History projects and of the Alabama Restoration Journal. Because of this, they have the freedom to tell the story in all of its messiness and humanity. This gives me hope for more of the kind of historical work done by Gardner Hall in Foy Short. Hall forgoes any kind of programmatic claim to objectivity — and that’s a good thing. This is a personal story for him. He knows (or knew, in the case of the late Foy Short) many of the people about whom he writes. He was raised and educated in the North Alabama non-institutional milieu about which he writes. But that’s not to say that Hall has no concern for the ‘facts.’ He has clearly done due diligence in his research, digging up archival documents and interviewing participants spread out over two continents. Moreover, he doesn’t feel the need to hide facts that might be inconvenient in some quarters (e. g., Will Short’s close association with Don Carlos Janes and the Word and Work). At the same time, he is up front about his assumptions. He understands that Foy Short’s life tells a story, makes a point, that he believes needs sharing. He is concerned to position the nature of Short’s work in Rhodesia/Zimbabwe independently of mainline parachurch mission efforts in the same region. Yet, at the same time, his work is not harsh or argumentative in tone. For my own purposes, I was especially interested in how Hall’s book would interact with John Mark Hicks and Bobby Valentine’s thesis in Kingdom Come. As I’ve indicated here before — even though this was not their primary purpose — Hicks and Valentine’s Tennessee-Texas paradigm has been beneficial for many in non-institutional circles in coming to terms with a number of questions. One of the most important of those questions is this: was the non-institutional movement of the 1950s entirely de novo or did it have a clear lineage in the history of Churches of Christ and in the history of the 19th century Stone-Campbell Movement? The work of Hicks and Valentine (along with the earlier work of Richard Hughes) has shown that the non-institutional protest did not arise out of the blue. It had a clear and demonstrable lineage. Hall’s four-point interpretation of Hicks and Valentine’s Tennessee Tradition gets a lot of things right. It emphasizes something critical to Lipscomb’s thought – “strict construction” in the interpretation of the Bible – that Hicks and Valentine largely pass over. Worth adding, in this reviewer’s opinion, would be some discussion of how Short exemplified (especially in some of his editorial decisions discussed on pp. 135-138) the value placed on open discussion in the Tennessee tradition and the more expansive views of fellowship that also characterized that tradition. (This last point is also exemplified in the life of John T. Lewis. That’s another blog post, though.) Overall, though, Foy Short is a real and valuable contribution to an ongoing discussion about the validity of Hicks and Valentine’s categories. Going forward, I think there are several points that bear further discussion. This book, to my knowledge, constitutes the first serious historical work on mission work among non-institutional churches and the significant ways in which those missions differ from mainline mission efforts. (Indeed, the book is worth every penny for showing that the phrase “non-institutional missionary” is not an oxymoron.) There are other mission efforts that, it occurs to me, might bear out a similarly detailed investigation. What about the now three-decades-old effort by NI missionaries (and native preachers) in the Philippines? This book does much to (helpfully) complicate the neat and tidy taxonomies that dominate mainline discussions of all of the “wings” of Churches of Christ: premillennial, non-institutional, etc. It steadfastly disallows the tendency to see the wings as the province of fringe radicals who have nothing to say to — and are totally disconnected from — the “mainstream.” To cite one example, I was intrigued to read about Will Short’s connections with Don Carlos Janes and the Word and Work. Foy, as we learn in the book, did not share his father’s “Bollite” (to borrow a phrase) sympathies. But it is still interesting to think about how fluid the theological spectrum in the churches was in the early 20th century, especially on the mission field. This book, as we have said, carries the Tennessee-Texas-Indiana paradigm forward, recognizing some important ways how the Tennessee-Texas dispute played out in non-institutional circles in the middle of the 20th century. But how does that paradigm hold up as an interpretation of the later history of the non-institutional communion? I especially have in mind here the disputes of the 1980s and 1990s. If, in other words, we grant the existence of a Tennessee stream of thought in NI circles (concentrated primarily in North Alabama), then — to creatively paraphrase Tertullian — what does Athens have to do with Bowling Green (or Tampa or Nashville)? In the spring of 1924, S. H. Hall held a meeting for the young North Birmingham church. He was there for about two weeks (April 20 to May 2) and when he returned to Nashville he wrote an extended piece for the Advocate describing the condition of the work in Birmingham. 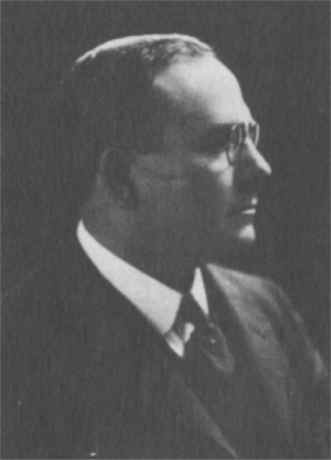 Hall was the consummate publicist, as can be seen in the regular column he wrote for the GA during his time in Atlanta (1906-1920) and Los Angeles (1920-21). He has an eye for the details, which proves to be a real boon for the historian. That really comes through in this piece. Beginning on April 20 and continuing till May 2, I had a most delightful time with the Birmingham saints. The twelve-days’ meeting was conducted at what they call the North Birmingham congregation, where Brother Hugh A. Price, Jr., labors. The meeting resulted in seventeen baptisms and one from the Christian Church. We had a packed house at every night service, with the exception of one or two evenings. I found the work in Birmingham in a most excellent condition. Brother John T. Lewis graduated in the same class with me at the Nashville Bible School in 1906. He soon began work at Birmingham, and my lot was cast in Atlanta. We have been together but little since then. He was in a meeting at Selma, Ala., the most of the time I was in Birmingham, but got back in time to help add much to the pleasure of my stay. Finding in a room on the third floor of one of their up town buildings a mere handful of members, and some of these with cranky ideas that hinder instead of helping the cause, John T. Lewis put his hands to the plow with the determination of not looking back, and a great work has been done. Here is what we have there to-day: The West End congregation, with around three hundred and fifty members and property worth $8,000; the Woodlawn congregation, with about two hundred members and property worth $5,000; the North Birmingham congregation, with one hundred members and property worth $5,000, and about $1,000 cash in bank for a better and larger building; North Lewisburg, with about seventy-five members and property worth $2,500. This congregation is just out of the city. And at Ensley we have a colored congregation, with one hundred and twenty-five members and property worth $2,000. They have a mission in Pratt City, with property worth $3,000. They also have a mission in Tarrant City, with some money in bank toward a building. At Ensley they have in lots around $5,000, and are preparing to build there. They also run a mission at Bessemer, and are helping many other weak places out of Birmingham. This all looked good to me, and it shows what can be done by those who love the cause of Christ enough to work at it seven days in the week. Lewis knows no other way to work. Just a word about others who have helped in the work. Brother Hugh A. Price is a most excellent church worker. He went there and worked with his own hands to help procure his support until the work could use him for full time. He is now giving his whole time to North Birmingham, which has every indication of becoming one of the strongest churches there. 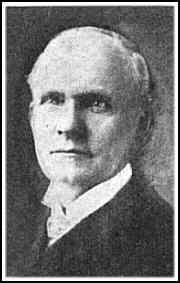 Brother W. C. Graves, whom I baptized at East Point, Ga., in 1912, also went to Birmingham with the Telephone Company and has been supporting himself and preaching all the time. 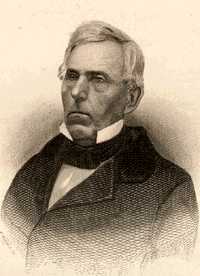 It is due to his efforts that the North Lewisburg work has been developed, and he has helped much with the colored congregation and fills in at West End and other places when needed. These three men — Lewis, Price, and Graves — love and esteem each other most highly and pull together. While at times they differ in their judgment about some features of the work, they submit their ideas as a matter of mutual helpfulness to each other and push the good work onward and upward. Brother Lewis studied under Brother D. Lipscomb. Perhaps there is not a man among us who went through the whole Bible under Brother Lipscomb so often as did Lewis. He makes me think more of Brother Lipscomb in his ideas of things than any one I know. He has a headful of plain, old-fashioned common sense, and there is no greater blessing that can come our way. I would so much love to tell of problems he has solved and difficulties he has overcome, but time forbids this. Brother Pullias has helped as local preacher at West End. Brother I. B. Bradley has also helped, but has been compelled to be away from the work for a number of weeks, due to the condition of his wife. These two brethren are held in the highest esteem. Brethren F. W. Smith and E. A. Elam have conducted revivals there and contributed to the success of the work, and maybe others, but these are all that I know of just now. Lewis, Price, and Graves are exceedingly fortunate in marriage, and their wives would hardly live with them if they did not make good, so they must have their share of the honors. The Lord bless them and multiply their number is my prayer. — S. H. Hall. “A Delightful Stay in Birmingham, Ala.” GA 66.20 (May 15, 1924): 463. We can glean a number of interesting things from this. First, we get membership numbers and property values for each of the Birmingham congregations. The building values give us a small window into the relative social status of the Christians who made up Lewis’ churches. For example, when First Christian Church in Birmingham built its downtown meetinghouse in 1904 (a structure that O. P. Spiegel would call “one of the completest and most beautiful in the country”) it did so at a cost of between $21,000 and $25,000 dollars. 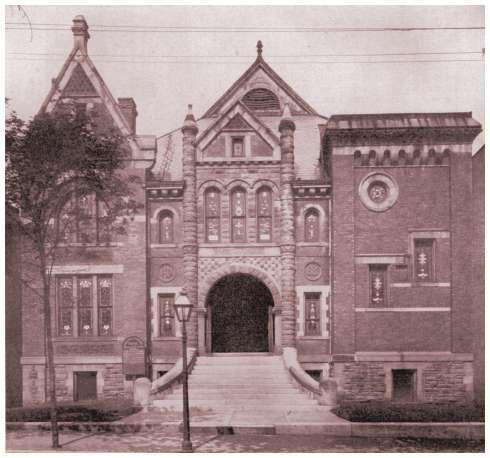 When West End, by contrast, left Fox Hall in downtown in 1910 to construct its own building, it did so at a cost of $8,000. Second, note Hall’s comments about the relationship between Lewis and David Lipscomb. He writes, “Brother Lewis studied under Brother D. Lipscomb. Perhaps there is not a man among us who went through the whole Bible under Brother Lipscomb so often as did Lewis. He makes me think more of Brother Lipscomb in his ideas of things than any one I know.” Hall is not alone in his estimate of the theological similarities between Lipscomb and Lewis. This is a point that will be repeated by others in the pages of the Advocate, at least through the 1930s and 40s. When, in the 1950s, Lewis’ Lipscombite views on cooperation and institutional buildup became inconvenient for the Nashville establishment such expressions disappeared from the pages of the Advocate. Along those lines, Hall’s report inadvertently attests to Lewis’ insistence that congregations become self-supporting as soon as possible. We see that in North Birmingham, which constructed a meetinghouse and secured the services of Hugh Price only as they were financially able to do so. Hall clearly sees value in this approach and writes approvingly of it in other places in the Advocate in the early to mid-1920s.